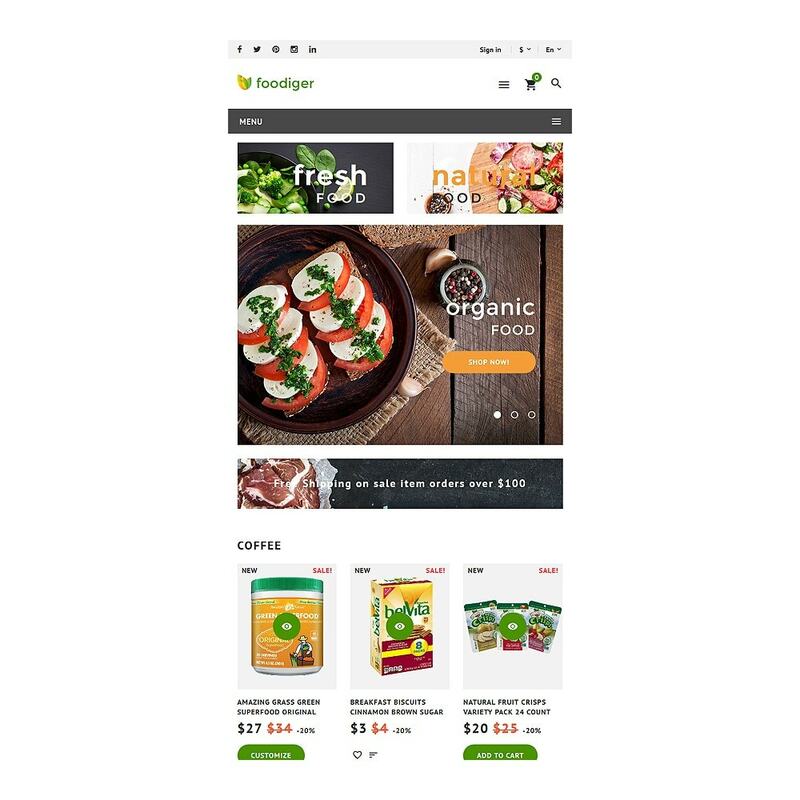 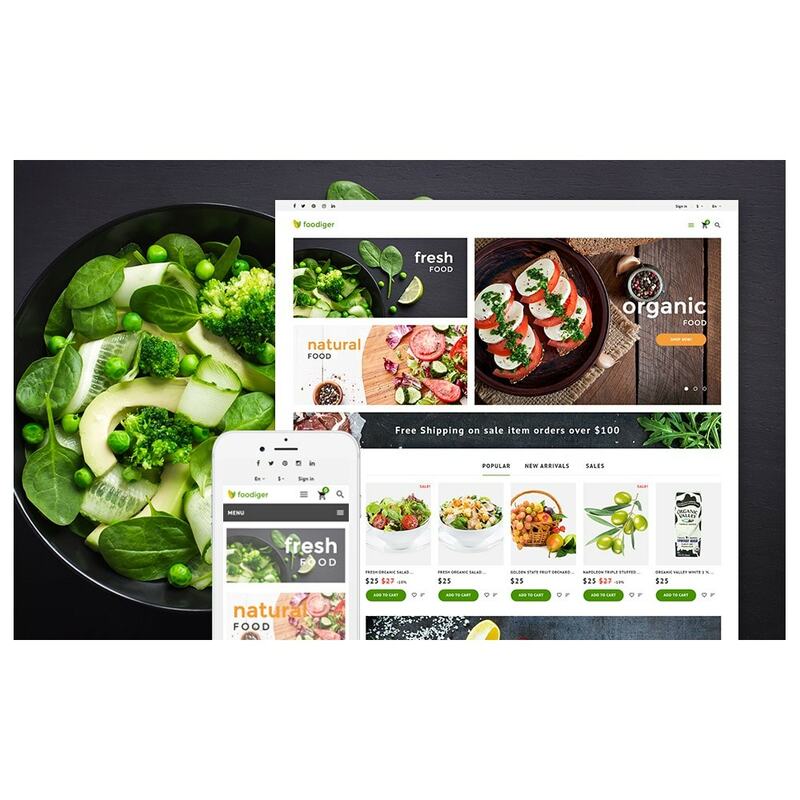 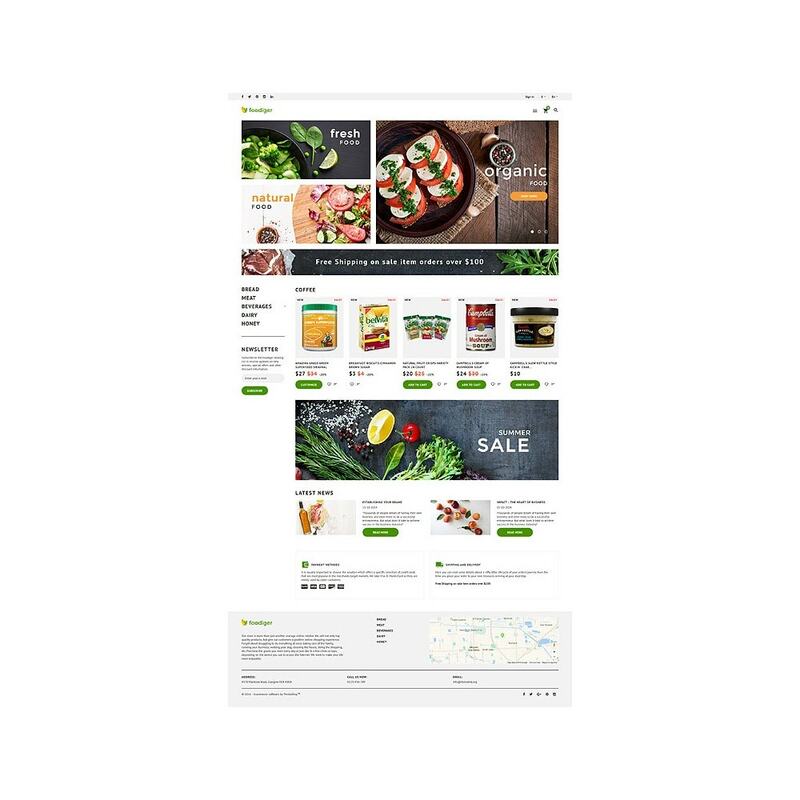 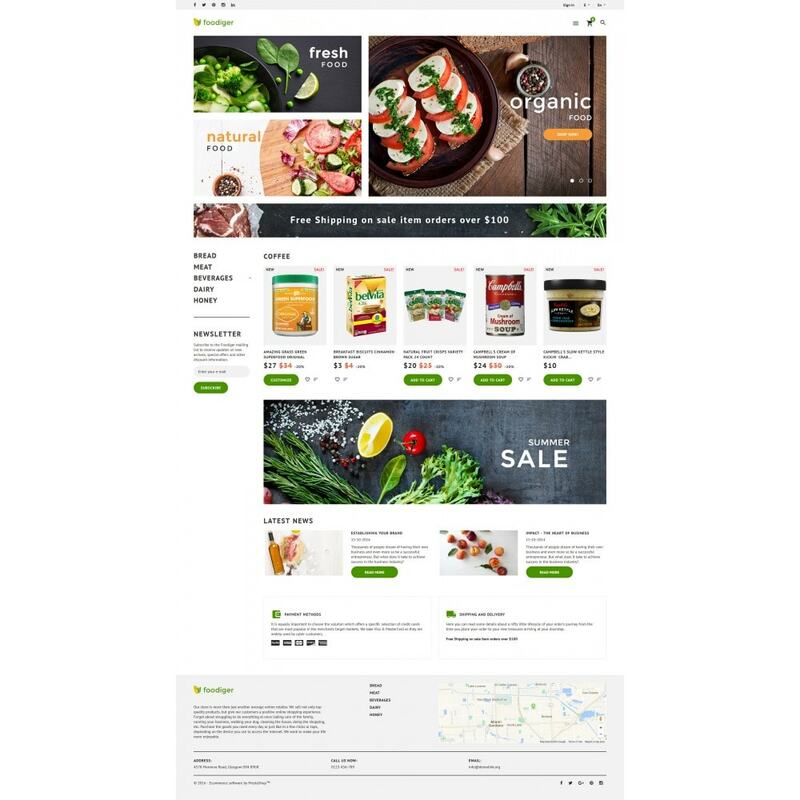 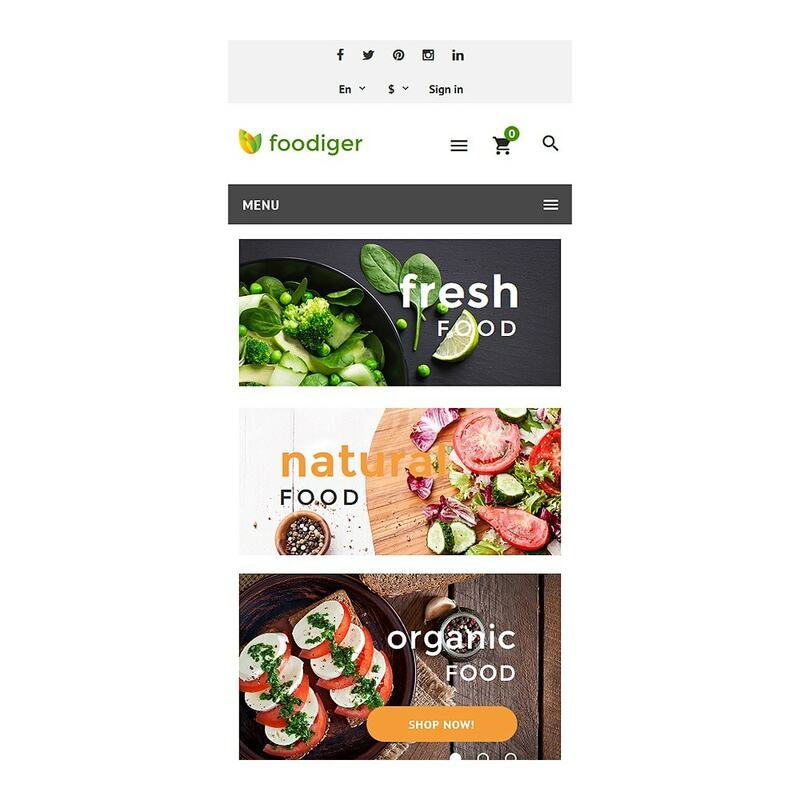 If you are looking for a Grocery store PrestaShop theme that would not only meet your technical requirements, but also would have a flawless layout and enticing design, you may consider using this template. 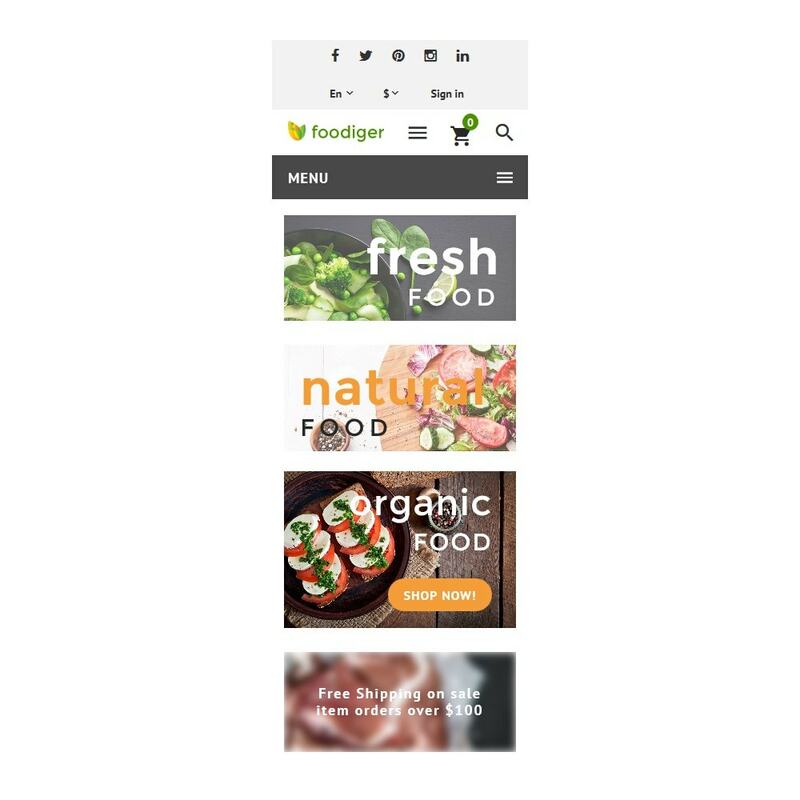 Its clean hierarchy of content makes it easier to perceive the design, the bright images attract attention, hover effects create an unnoticeable, but significant interaction with a viewer, and a Parallax effect which is used only for a banner makes a visitor feel as if it is a small window into the world of appetizing food which he or she can purchase. 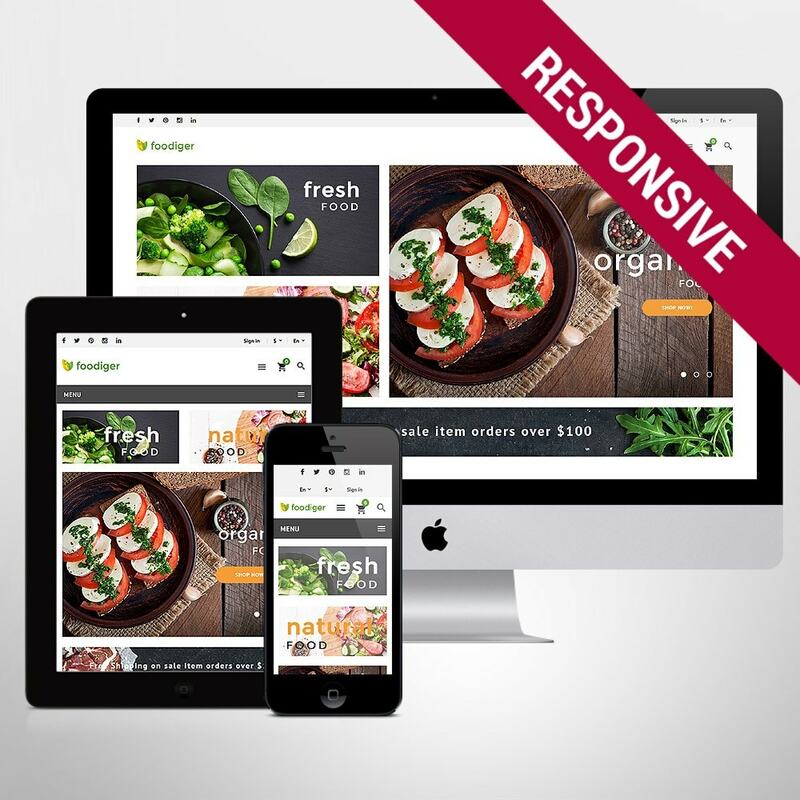 Use this template for a stunning responsive website which would look perfect on any screen size and be converting enough to make the business flourish. 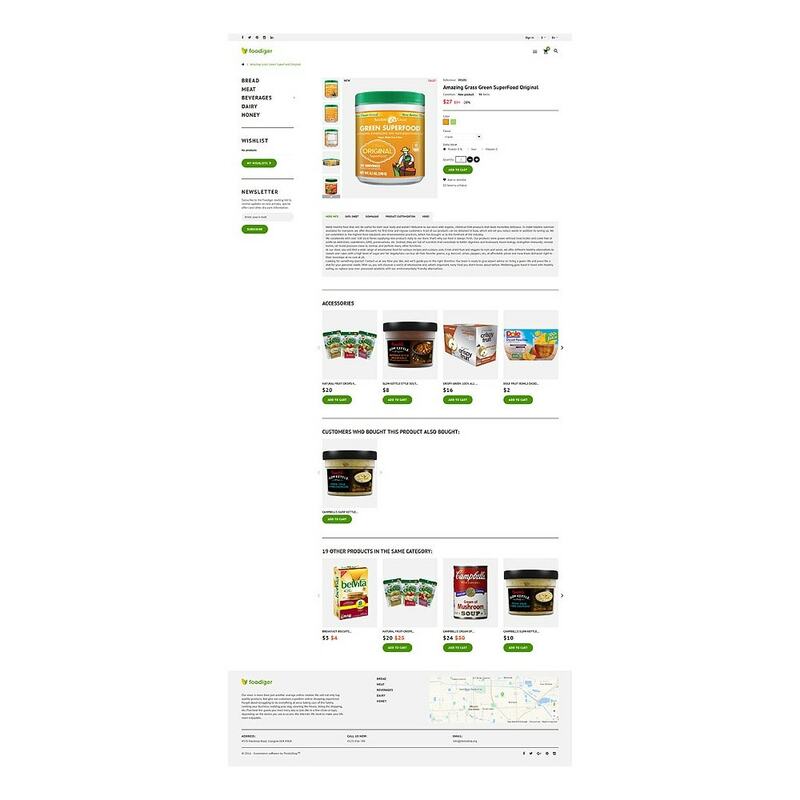 fashion clothing store, organic food store, beverages store.